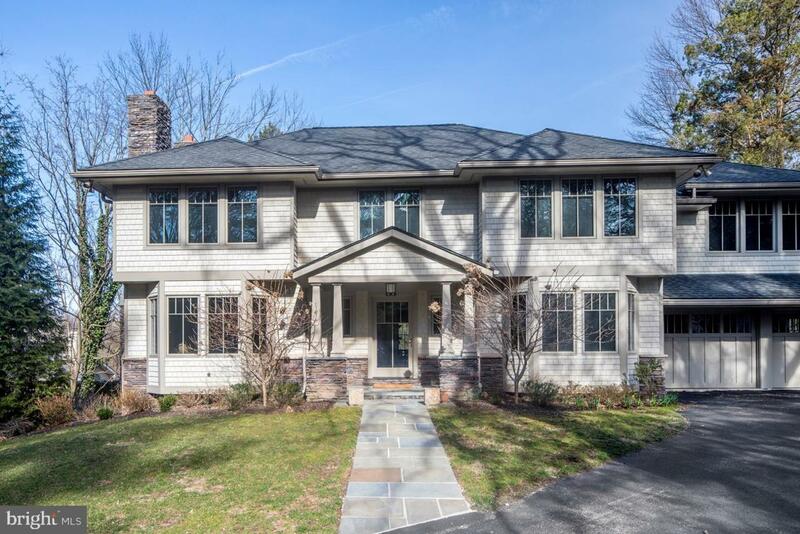 1810 Old Gulph Rd is all you could ask for in a family home you will enjoy for many years, beautiful and extensively renovated, with elegant living quarters, a gorgeous backyard paradise in a sought-after neighborhood. 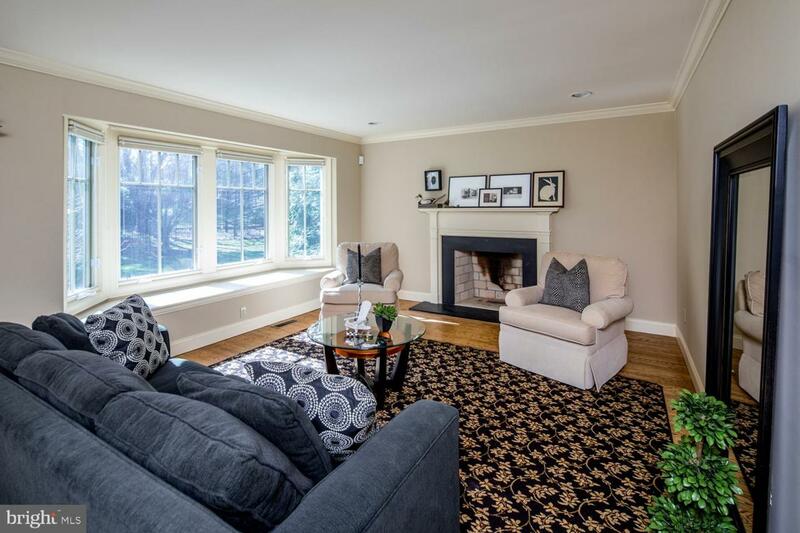 Here you'll feel like you're living in a private retreat, yet you're minutes away from award-winning Lower Merion schools, local amenities and major arteries like I-76, I-476, and the Pennsylvania Turnpike. Being ideally situated at a prime Villanova address also affords you access to all surrounding attractions as well, whether you want to take a jaunt to Center City, New York City, or Chester County. Time at home is the ultimate pleasure. Down a long tranquil lane awaits a meticulously-maintained 4/5 bedroom 3.5 bath residence on spacious grounds, making a striking appearance with its craftsman-inspired architecture, cedar siding and stone accents. A flagstone walk approaches a welcoming covered front porch. 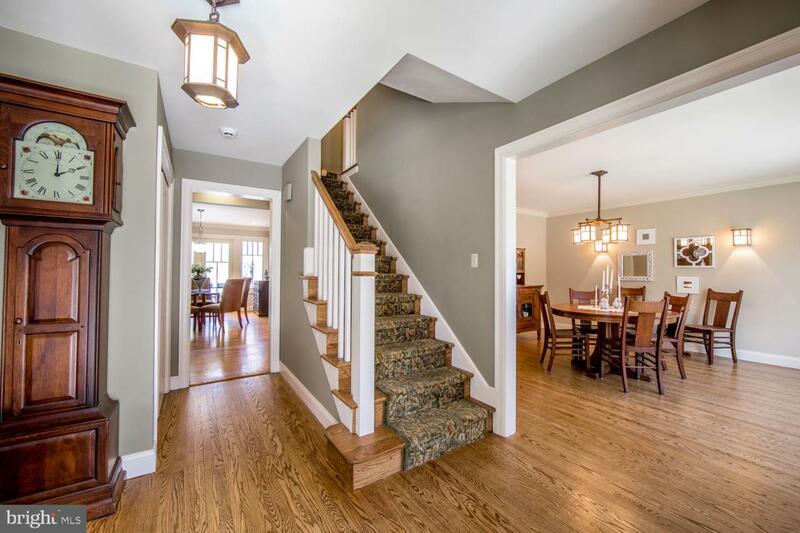 Beyond a gracious foyer sit generously-sized rooms with an easy flow for entertaining. Host guests in the living room with fireplace and formal dining room, both with picture windows and custom window seats. The updated kitchen has wood cabinetry and granite countertops galore, premium stainless steel appliances, a center island, and lots of room for people to gather. The sunny breakfast area extends out through glass French doors to the peaceful slate patio that overlooks the expansive yard. The adjacent family room was enlarged, featuring a brick fireplace, vaulted great room enveloped by windows, and French doors to the patio for great barbecues. The open layout keeps the family engaged, whether making meals and snacks, eating together, using the computer or watching TV. Also expanded was the master suite on the upper level, with a separate office/sitting room, 4 custom-fitted walk-in closets, and luxurious spa-quality bath with an oval soaking tub and oversized glass-enclosed shower. Comfort continues on level two with 3 additional bedrooms, an updated hall bath, and a laundry room. The finished walk-out lower level is very versatile, with space for living and recreation. It contains an au pair/in-law suite, home gym, exit to the backyard, bathroom with shower, 2nd washer and dryer, partial kitchen, and windowed den for teens to hang out in with their friends.Dual-zone HVAC, a 2-car garage, newer roof, windows and doors and so much more make this the perfect place to raise your family!